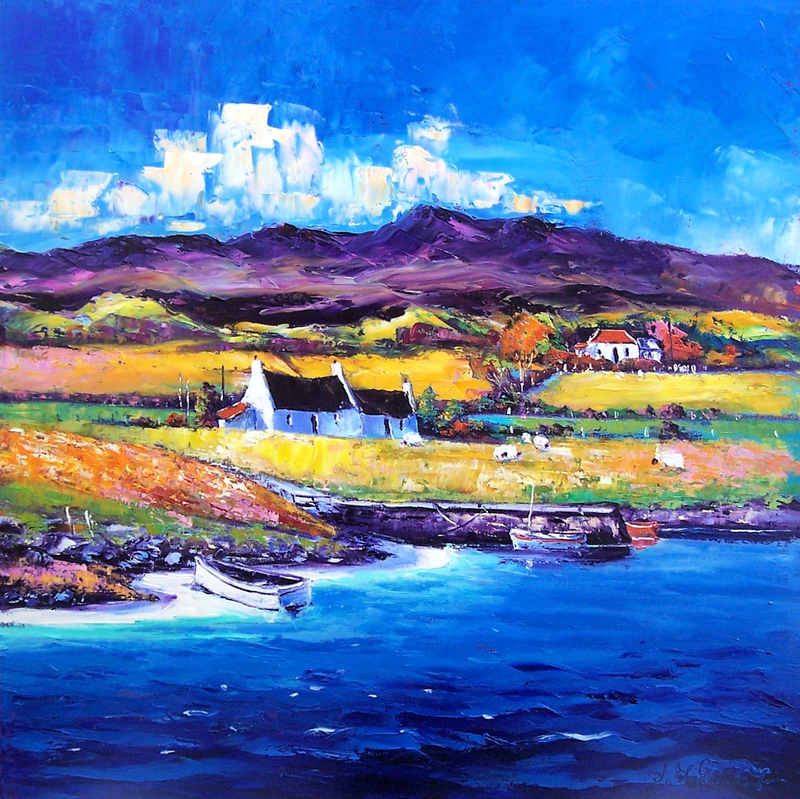 Born in York of Scottish/Welsh parents, Jean moved to Scotland in 1990 and lives in rural Perthshire. 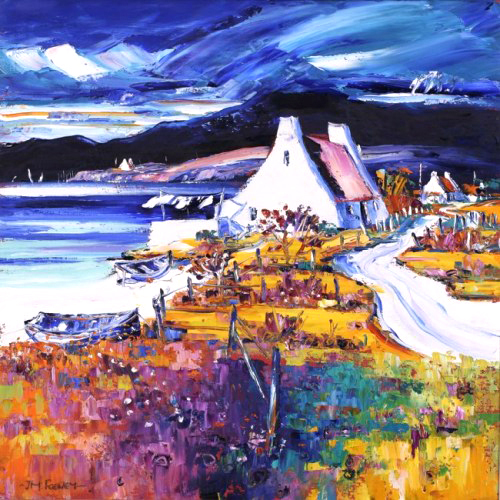 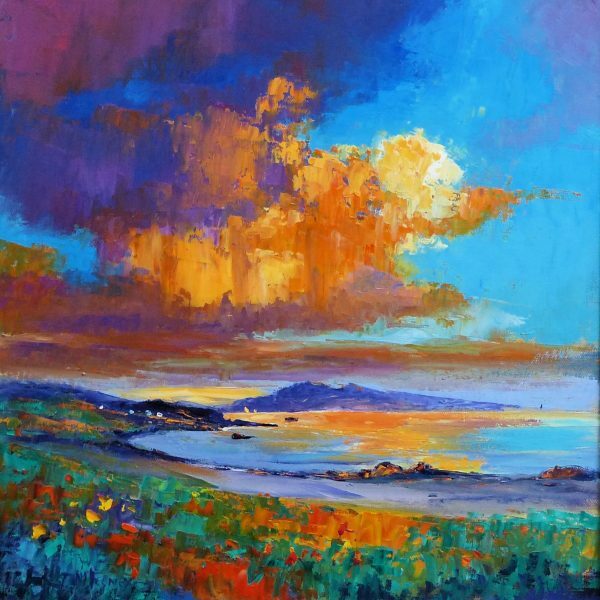 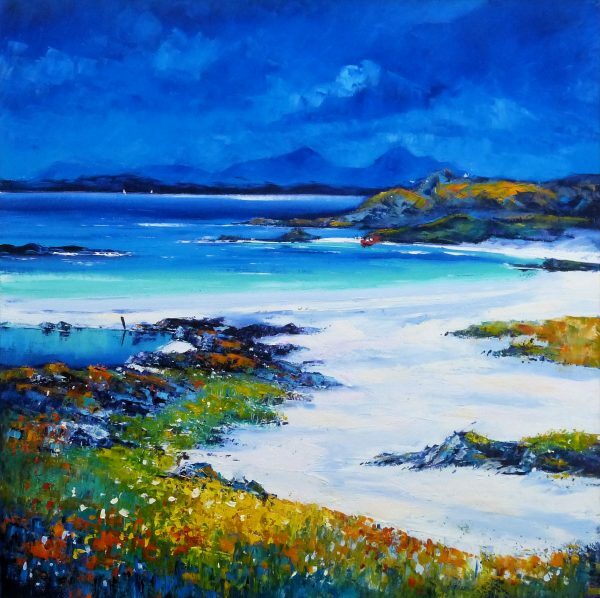 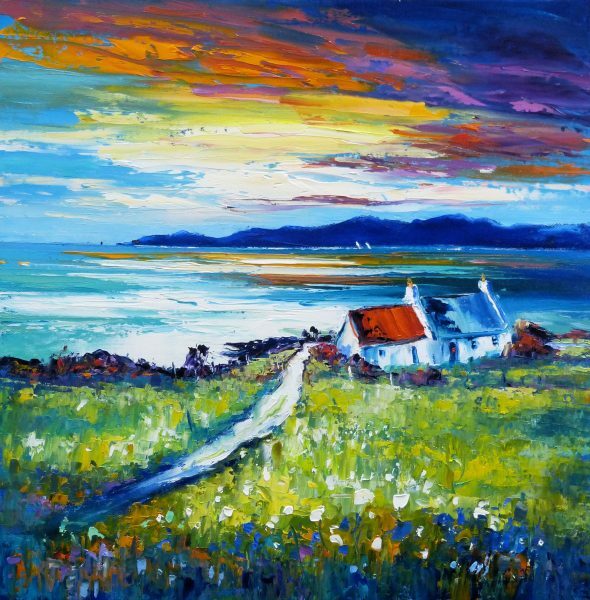 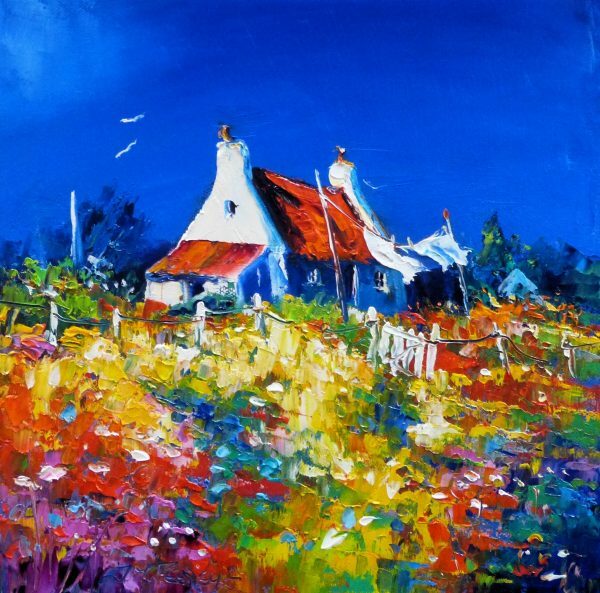 Influenced by her first visit to Ardnamurchan in 1990, Jean’s work centres primarily on the landscapes and colour of the west coast. 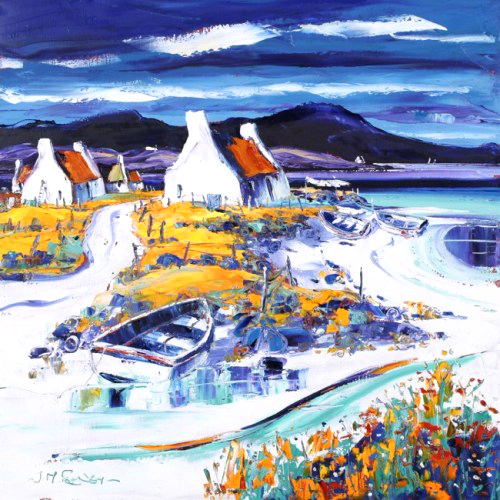 With her exuberant broad brush technique, Jean balances a keen eye for detail with sculptural application. 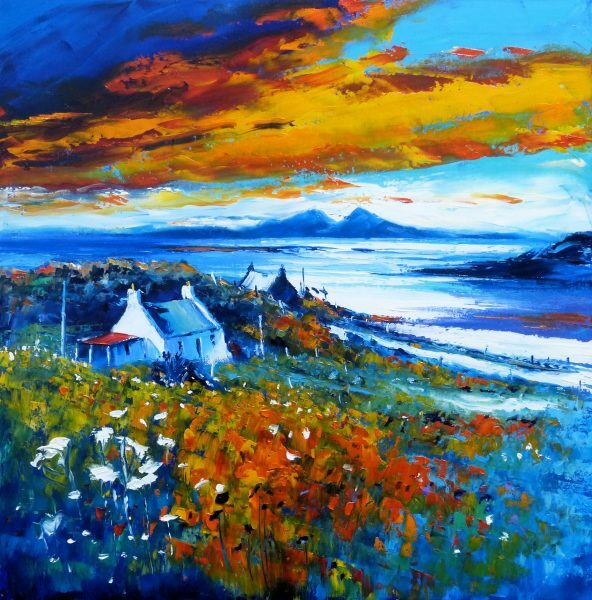 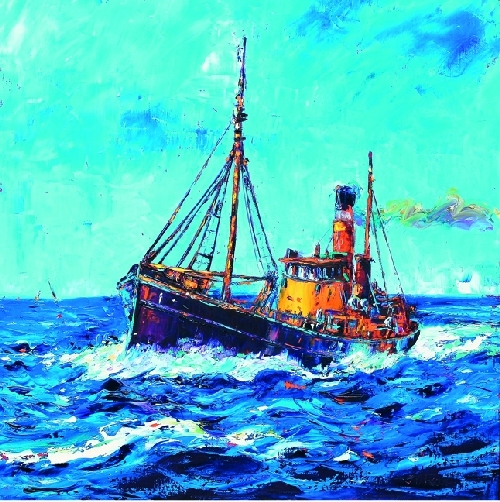 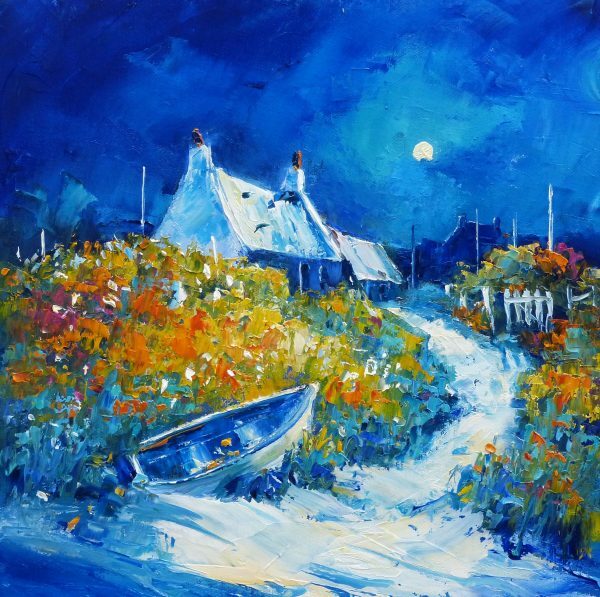 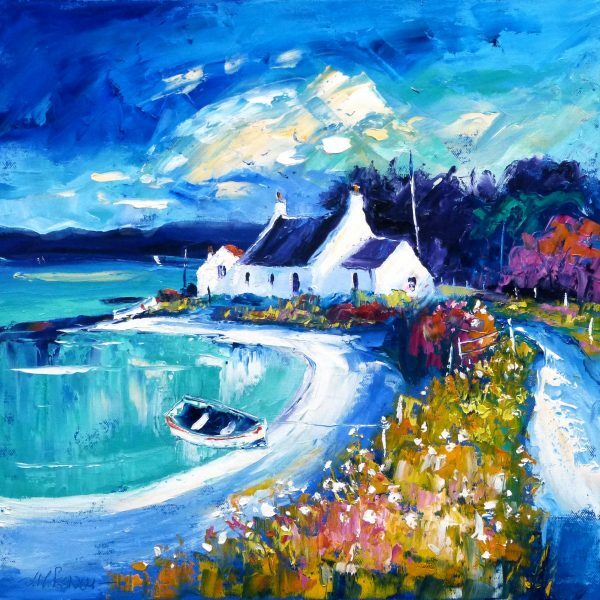 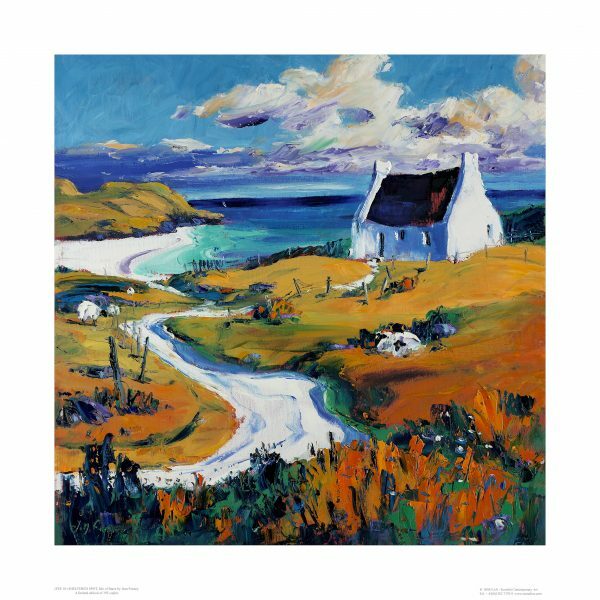 She finds constant inspiration from the remote and rugged landscapes , harbours and coastal areas, and lists her influences as the Scottish Colourists and German Expressionists and, of course Van Gough!